Congratulations to Claire Brown, Sharon Palmer and Hannah Stedmon who were Confirmed by the Rt Revd Nicholas Holtam, Bishop of Salisbury at All Saints’ tide. 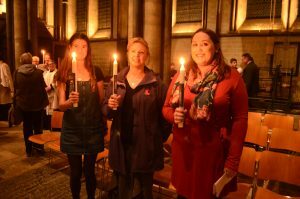 Claire, Sharon and Hannah took part in a marvellous service of Confirmation in Salisbury Cathedral at which their Christian commitment was Confirmed by God and his Church. 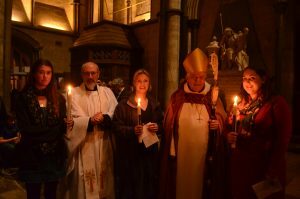 The following day they received Communion together for the first time here at St.Peter’s. Many congratulations to them. Do continue to pray for them as they set out on their Christian path.